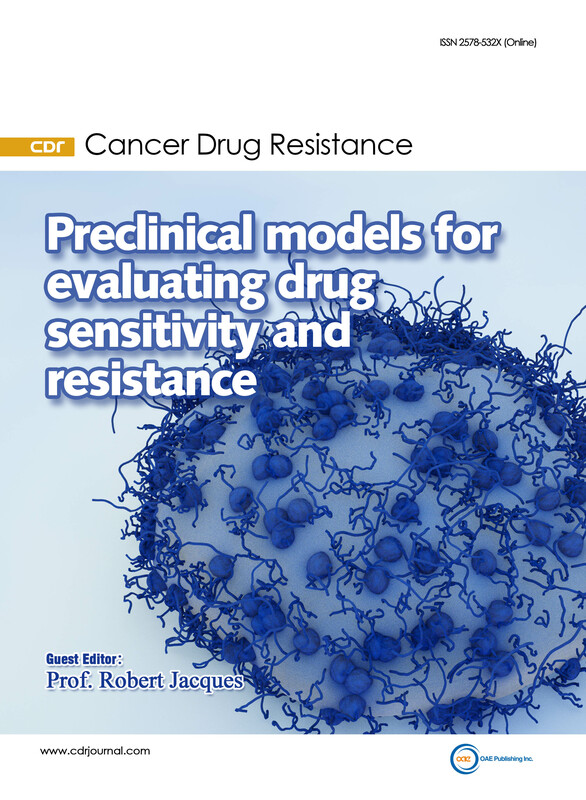 A special issue of Cancer Drug Resistance. Apparently, there is a disconnect between the knowledge gained from drug resistant cell lines studied in the test tube and the application of this knowledge to tumors in patients. The study of drug resistance in preclinical models that mimic human cancer could bridge this gap. In mouse models various tools to detect ABC transporters in drug resistant tumors can be tested and optimized. Moreover, treatment schedules and the efficacy of inhibitors are more easily investigated in animals than in humans. The special issue on “Preclinical models for evaluating drug sensitivity and resistance” will include Original Articles, Reviews updating the preclinical models in this field. All submissions will undergo rigorous peer revision and will be published free of charge upon acceptance.